Sidhu was in Gujarat to campaign for his party for Lok Sabha elections. He also called PM Modi Jhootha no.1 and feku no. 1. Ahmedabad: Undeterred by the FIR against him over speech in Bihar, cricketer-turned-politician Navjot Singh Sidhu continued his attack on PM Modi while campaigning for Lok Sabha elections here. Sidhu was taking a jibe at the Centre’s Jan Dhan Yojana which is a financial inclusion programme that ensures access to financial services, like banking, remittance, insurance and pension. An account can be opened under the scheme with zero balance. A daily also quoted him as saying that Gujarat, the birthplace of Mahatma Gandhi, has produced a Prime Minister who happened to be the “biggest liar”. Canvassing for Congress’s Valsad Lok Sabha candidate Jitu Chaudhary in Dang district, Sidhu said the prime minister was ‘jhootha No. 1″ and ‘feku No. 1’. 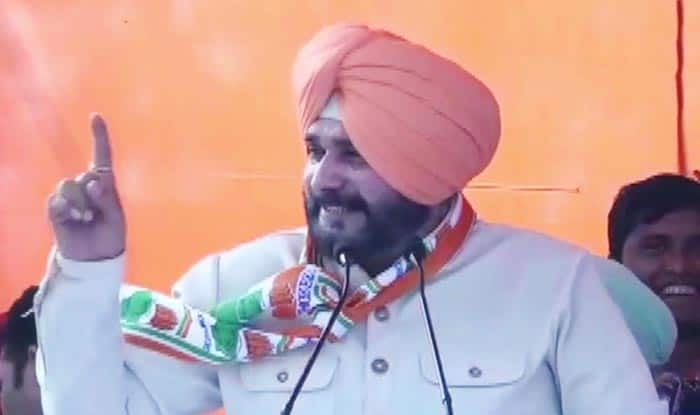 In Katihar for an election rally, Sidhu had urged Muslims to vote en bloc and defeat the PM while canvassing for veteran Congress leader and former union minister Tariq Anwar.